Spacious and beautifully decorated villa with 3 bedrooms and 3 full baths has been recently painted and added laminate wood flooring in living areas. It is located near the beach on 2 championship rated golf courses at Seabrook Island, one of the most pristine barrier islands on the Eastern US coastline. With its all natural beauty and great amenities, Seabrook Island is certainly a must visit destination resort near Charleston, SC which is rated #1 vacation city in the USA by Conde Nast. Our villa has a great location, just a 10 minute walk to Pelican Beach on the Atlantic Ocean and mouth of Edisto River and a 10-15 minute walk to the Beach Club on the Atlantic Ocean. North Beach, one of the widest white-sand beaches on the East Coast, is a 5 min. drive to near SIPOA pool area with parking and boardwalk to the beach. Again, our villa is located between two 18 hole championship golf courses, a 10 minute walk to the Golf Clubhouse or a 2 min. drive. This 1550 sq. ft. villa sleeps eight. The living areas are newly painted and have new laminate flooring. The kitchen has a dishwasher, microwave and a ceramic glass-top stove while the separate dining area will seat eight. All bedrooms are carpeted. The master bedroom has a wrought-iron king bed, a jacuzzi tub with separate shower, and a double vanity. The second bedroom has a balcony, a weathered bead-board queen bed and a full bath with shower and pedestal sink. The third bedroom has two twin white shutter beds and a full bath with deep tub/shower. There are plantation shutters through out the villa. The kitchen is fully equipped with all appliances needed for your gourmet vacation. The den area with a fireplace has a new sectional sofa with a chaise lounge and queen sleeper sofa to view the new 42 inch Sony LCD TV with cable and local HD channels and also including surround sound Stereo/DVD/VCR. The dining table seats eight with a wet bar. The screened porch has a sitting area for 4 and a dining area for 4 all furnished with black wrought-iron Meadowcraft. The villa is also equipped with wireless broadband to browse the internet and check your e-mail. It is a fully furnished luxury villa and has everything you will need for a wonderful vacation. Our non-smoking Ocean Winds Villa, which is on the second floor and equipped with an elevator, is only a short 10-15 min. walk from the fabulous beaches and the Club on the ocean with pools, boardwalk sun-bathing, restaurants, golf and fitness center. Many of Seabrook Island's amenities were newly rebuilt in 2009. These include a new oceanfront Beach Club, Restaurant and Pool complex, a new Beachfront Golf Clubhouse and Restaurant and a new Lakefront Community Center with a Fitness Center and In-door/out-door Pool complex. The Island amenities have been transformed and are amazingly beautiful. The Club's Championship Golf courses, Tennis courts, Equestrian center, Fitness center, Beach Club and Island restaurants are only available to owners and resort guests staying in properties on the island, and there is an additional fee for a Club Amenity Card to all rental guests. These Club amenity card fees are $150.00 per week or $25.00 per night. If you stay at Seabrook Island , you can play it's private golf courses and you can still play the Kiawah Island courses because they are open to the public. Seabrook Island (next to Kiawah) is a hidden gem on the South Carolina coast just 30 minutes south of historic Charleston. A private gated community, centered around the Seabrook Island Club, it is a wonderfully tranquil spot with palmetto palms and beautiful oak trees draped with spanish moss and yet there is enough activity to keep the most energetic of us occupied all day, every day! You can explore the unparalleled natural beauty of this Atlantic barrier island. Seabrook Island is also a natural wildlife preserve, where you can observe many species in their natural habitat, such as dolphins, loggerhead turtles, deer, alligators and many species of marsh water fowl. You can walk or swim on it's pristine beaches, bike ride throughout it's 2200 acres, walk it's nature trails, go crabbing on a salt water creek or visit Bohicket Marina for a sunset boat ride or fishing charter. Additionally, enjoy the amenities of the new Seabrook Island Club and beautiful new Island House and Golf complex, which offers 2 championship golf courses, a Top 50 U.S. new Racquet Club facility, a newly renovated equestrian center and a new Lakehouse facility with a indoor and outdoor pool complex and a fitness center located near the front gate of the island. Bohicket Marina with boating, fishing, shopping, spa and great local Restuarants is just outside the gate. Freshfields Village with an Harris Teeter grocery, drug store with an 'ole time' soda fountain/grill, sporting goods, banking, and great boutique shopping is locted just 2 minutes from the gate as well. Kiawah Island with its world famous golf and the AAA 5-Diamond 'The Sanctuary' Luxury Spa is literally just next door and a 15 min. drive. Co-owners who reside in South Carolina and Indiana. Both owners own a small dog. You may reach Greg Gerrald at 803-917-4738. We love the lowcountry area of SC and this location is a resort destination with great amenities and just 30 min from one of the best cities in the USA,. Charleston, SC. Villa feels like home where it is easy to relax, sit and read, take relaxing walks with family and dog to 2 unique beaches, lounge on beach or at club, play 2 beautiful golf courses or dine at all new club facilities with super staff and great food. Villa is located about 500 yards from the ocean with 2 beaches nearby. Seabrook Island is a private resort community. See DiscoverSeabrook.com. Edisto River and Bohicket River nearby with boat tours, dolphin tours and kayaking available. Enter Elevator from private garage and reserved parking space. Nearby at Golf club with 2 highly rated championship golf courses. 400 yards from club. One of the widest beaches on the East Coast at North Beach which is a 5 min. drive to near SIPOA pool with parking and boardwalk to beach. 30-45 min from historic Charleston, SC, rated the #1 vacation city in the USA by Conde Naste. We were in town to attend our Nieces wedding. The home perfect for our family. 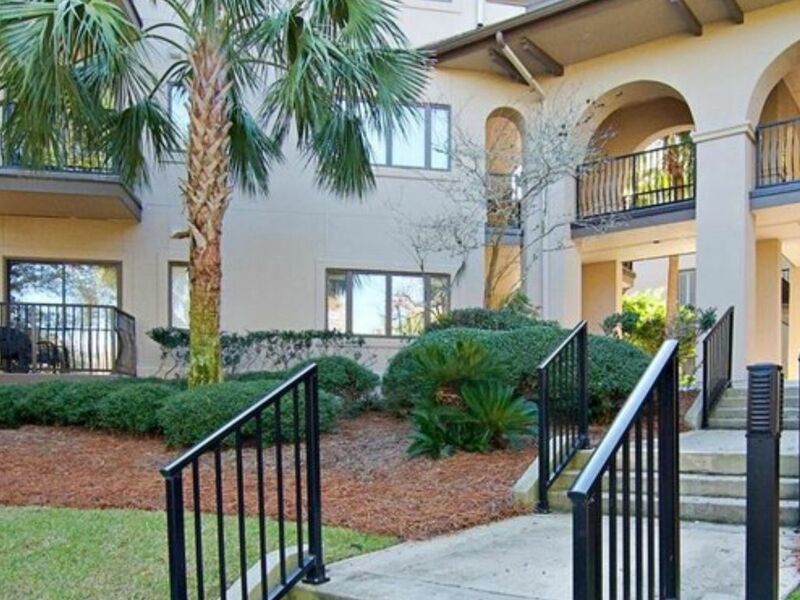 A charming apartment near the beach and main facilities on Seabrook Island! We thoroughly enjoyed a week of early spring break in 3020 Ocean View. The apartment has a great location, and its balconies and setting in a light and airy arrangement of villas near the golf course make you want to get up early and take in the beautiful surroundings. The place was spacious for 2 people and a poodle, and it could easily accommodate a larger group. Everything we needed was there, and we were looking forward to returning to a cozy and welcoming place every evening after a fun-filled day on the island. Spent a month in this lovely property. It is very comfortable with every possible convenience and helpful owners who respond quickly. Within biking distance of the beach. Very nice! Thank you for your kind comments and glad you enjoyed your month at our villa on Seabrook Island, SC. We welcome you to stay with us again in the future. Condo needed update and better cleaning. There were toenails under the ottoman in the living room (just one example). Patio doors were extremely difficult to open. All shower heads needed to be changed- very little flow. Pet stain on the carpet at entry door. Not impressed. We are sorry our villa did not meet your expectations and we appreciate you bringing these issues to our attention. We came down this week to see our villa for ourselves to address any concerns. We have addressed the cleaning issue with our property manager and they agreed to be more thorough in the future. We lubricated the patio door so that it will open more easily. We also changed each of the shower heads that now have a newer hand held option with higher intensity multiple water flow settings. The carpet has been cleaned and stains in the high traffic areas have been given special attention. The overall appearance of the carpet is much better. Overall, our villa continues to look just like our pictures on our VRBO website, except for the change in bed covers. The past reviews have been very good because do strive to keep our villa in good shape and we ask everyone to treat it like it is their second home when they are here. Seabrook Island is a beautiful location and we hope that everyone has a great experience when using our villa. Thank you again for bring these items to our attention. In October 2018, we have completed these upgrades: replaced all shower heads, installed new laminate hardwood flooring to main living areas, kitchen and hallways, installed new Trane HVAC system, painted all living areas and hired a new property manager and cleaning service. enjoyed it so much last time.Just as we remembered, wonderful. The unit was well supplied with everything we needed. Greg, the owner was very informative and easy to work with. Kids Playground, Game Room, Fitness Center and In-door pool at Lake house facility, Crabbing dock, Sun-Bathing on Beach or at Club facility, Beach-walking, Nature trails, Kayaking/Canoeing, and Equestrian Center with Horseback Riding on Beach. Bohicket's Marina provides boat tours, dolphin tours and Kayaking nearby. Please email the owner at greg.gerrald@gmail.com for a specific quote or with any questions about the rates and payment. If urgent, please call or text owner at 803-917-4738.